We are very proud to have added Llamas to Spring Farm in the Spring of 2015 from Italy! We now have five llamas on the farm – three adult females, one adult male and one male cria (baby) with one more baby llama on the way. The two adult females are Suada and Mandola. they are both “woolly” llamas and are very striking in their appearance. 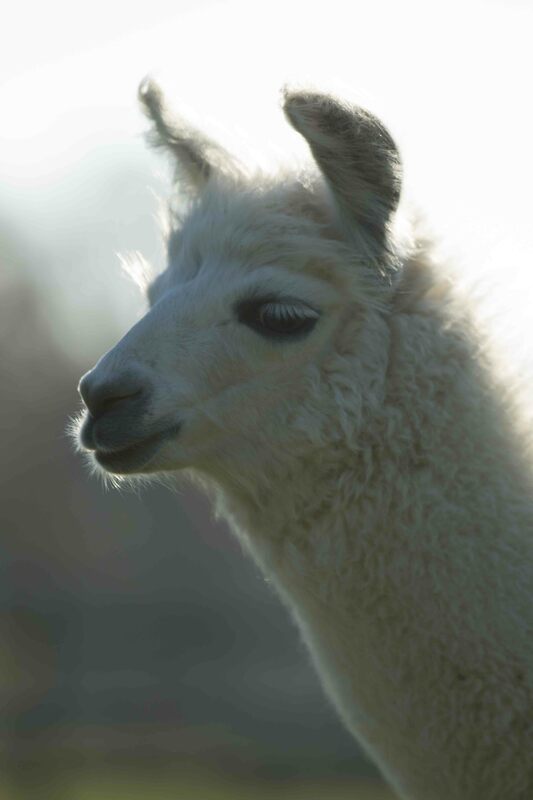 We normally (with our alpacas) use the same initial for all babies born each year, but we decided that with our llamas we would name the babies by the same initial as their mum’s. In 2018, Suada wasn’t pregnant but Mandola had a male cria who we have called Merlin. Suada’s daughter Sophia is pregnant and we hope to see her new baby in Summer 2019. Suada and Mandola in our “orchard” quarantine pen on arrival. Woolly llamas can have light, medium, or heavy fleeces (which refers to the relative abundance of fibre) with minimal locking, curl, or crimp (crimp is highly valued in alpaca fiber). Their fleece, when several inches long, shows considerable “loft,” or fluffiness, and is not as slick or shiny as silky or suri llamas. As well as our two females, we brought in one young male: Rosselli who is a “woolly” llama. 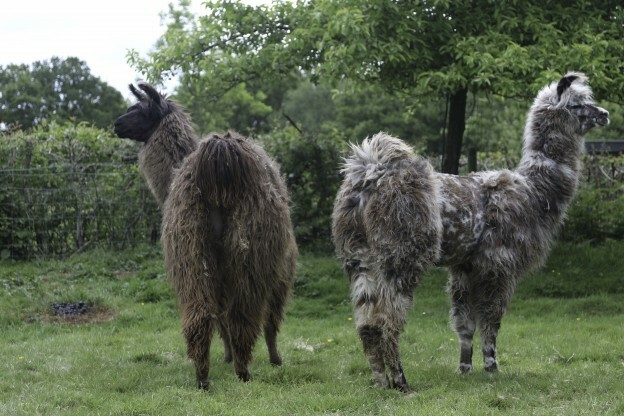 There are also silky llamas which have some curl to their hair, which is finer, shinier, and tends to form locks, with less loft to the fleece than woolly’s. Unfortunately, these characteristics seem to catch and hold more pasture debris than classic or woolly llamas, especially when they are not sheared, or only barrel sheared (a popular style), for several years. The curl and locks tend to disappear when they are cleaned and groomed for showing. 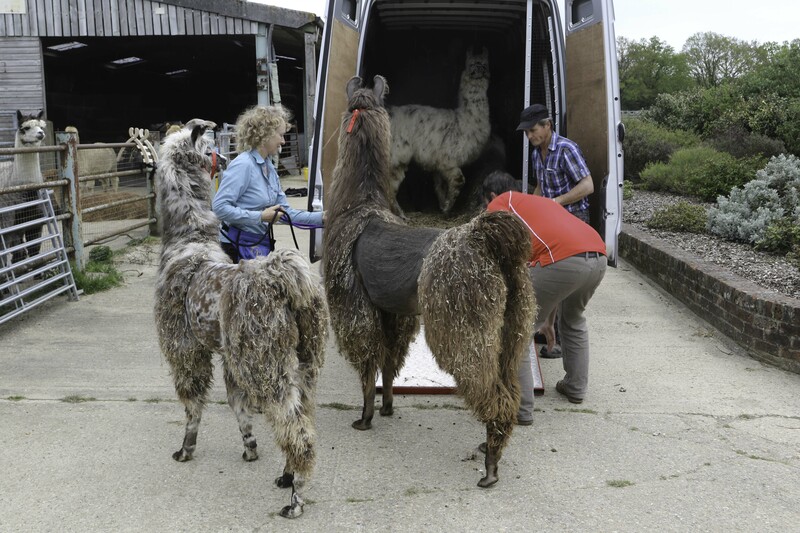 We have been training our new llama arrivals and hope to be offering walks with them down at our wet meadow by the Bluebell Railway in the near future – watch this space!! In the meantime, Rosselli is available for walks with the alpacas (on request)! If you would like to meet our new arrivals whilst at Alpaca walking with Spring Farm Alpacas just let us know. 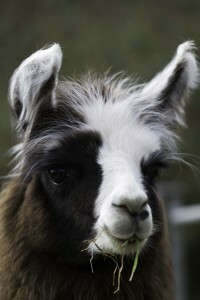 And then come and visit our amazing Llamas and even take them for a walk (with or without alpacas)!